In 2017, there were 1,269 overdose deaths involving opioids in Tennessee—a rate of 19.3 deaths per 100,000 persons, which is higher than the national rate of 14.6 deaths per 100,000 persons. 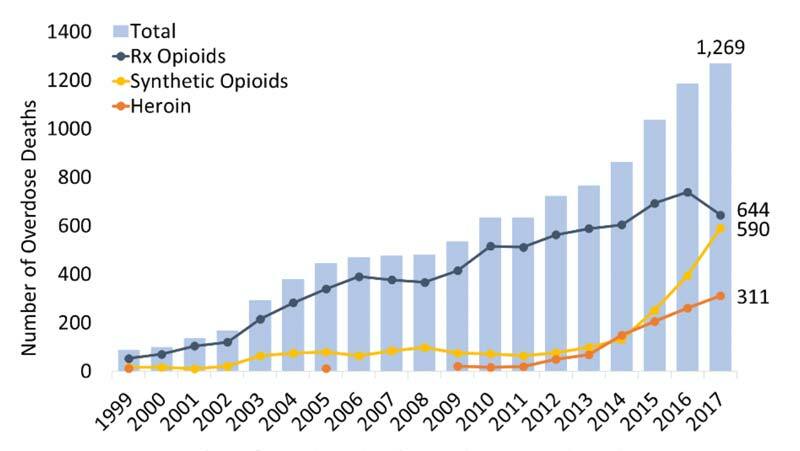 The greatest increase in opioid deaths was seen in cases involving synthetic opioids (mainly fentanyl): a rise from 77 deaths in 2012 to 590 in 2017. Deaths involving heroin also increased dramatically in the same 5-year period: from 50 to 311 deaths. There were 644 deaths involving prescription opioids in 2017, a decrease from 739 in 2016 (Figure 1). Figure 1. Number of overdose deaths involving opioids in the Tennessee, by opioid category. Source: CDC WONDER. In 2017, Tennessee providers wrote 94.4 opioid prescriptions for every 100 persons (Figure 2). This was the third highest prescribing rate in the country and 1.5 times greater than the average U.S. rate of 58.7 prescriptions. Still, this represents a 25-percent decline in the state’s opioid prescribing rate since 2013 (CDC). 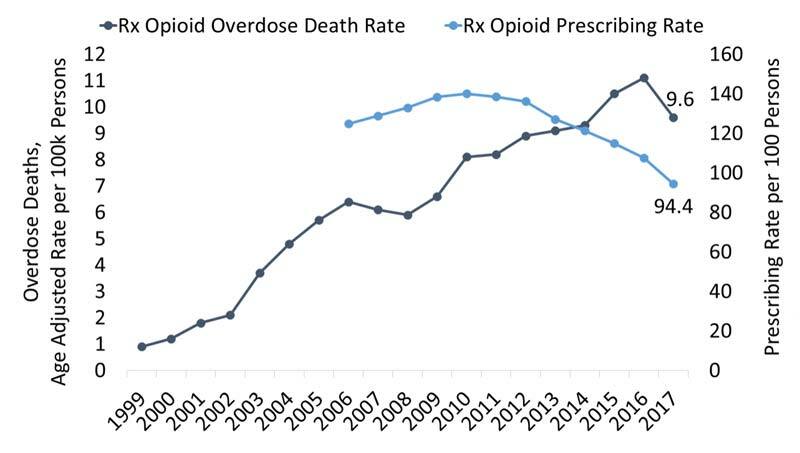 The rate of overdose deaths involving opioid prescriptions rose steadily after 1999 to 11.1 deaths per 100,000 persons (Figure 2), but in 2017 it declined to 9.6 deaths per 100,000 persons. Figure 2. Tennessee rate of overdose deaths involving prescriptions opioids and the opioid prescribing rate. Source: CDC and CDC WONDER. The Tennessee Department of Health (TDH) requires that all cases of NAS/NOWS be reported within 30 days of diagnosis. 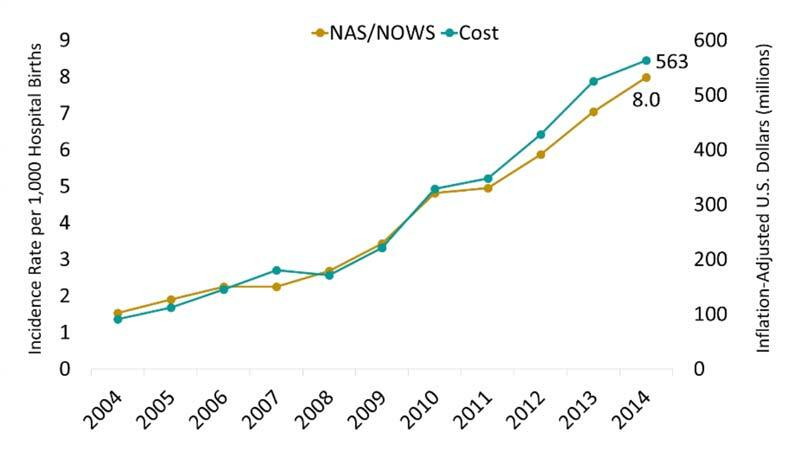 In 2017, there were 1,090 cases of NAS/NOWS reported, representing 1.35% of all live births, and a 16 percent increase from 936 cases in 2013. 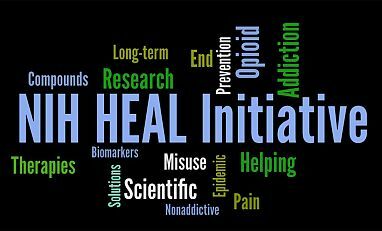 Of the cases reported in the state in 2017, nearly 1 in 3 occurred as a result of exposure to diverted prescription opioid medications (TN Department of Health, 2018). Figure 4. Tennessee: Estimated percent of male vs. female with new HIV diagnoses, by transmission category, 2016. Source: CDC and www.AIDSVU.org. U.S. Prevalence:In 2016, 991,447 Americans were living with a diagnosed HIV infection—a rate of 306.6 cases per 100,000 persons. Among males, 19.9 percent (150,466) contracted HIV from IDU or male-to-male contact and IDU while 21 percent (50,154) of females were living with HIV attributed to IDU (CDC). State Incidence: Of the new HIV cases in 2016, 715 occurred in Tennessee. Among males, 6.6 percent of new HIV cases were attributed to IDU or male-to-male contact and IDU. 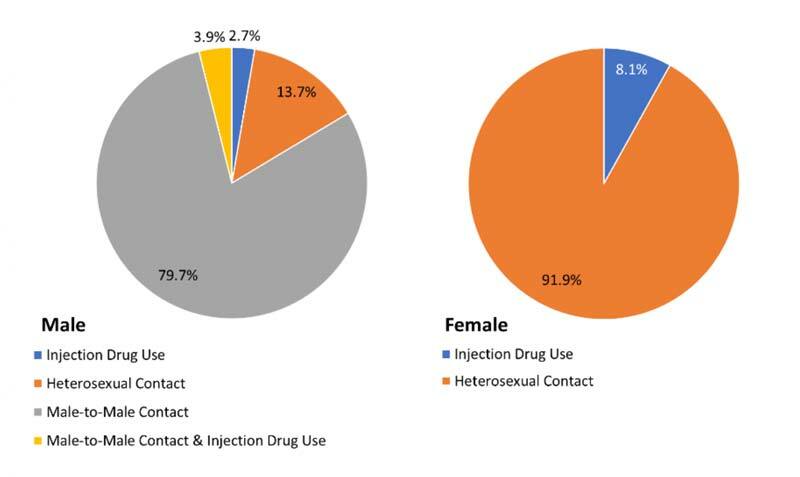 Among females, 8.1 percent of new HIV cases were attributed to IDU (Figure 4) (AIDSVu). State Prevalence: In 2015, an estimated 16,425 persons were living with a diagnosed HIV infection in Tennessee—a rate of 297 cases per 100,000 persons. Of those, 11 percent of male cases were attributed to IDU or male-to-male contact and IDU. Among females, 13.5 percent were living with HIV attributed to IDU (AIDSVu). State Incidence: There were approximately 150 new cases of acute HCV (2.3 per 100,000 persons) reported in Tennessee in 2016 (CDC). State Prevalence: In Tennessee, there are an estimated 69,800 persons living with Hepatitis C (2013-2016 annual average), a rate of 1,380 cases per 100,000 persons (HepVu).